This image shows Miss Universe-Philippines Catriona Gray's official photo for the pageant. 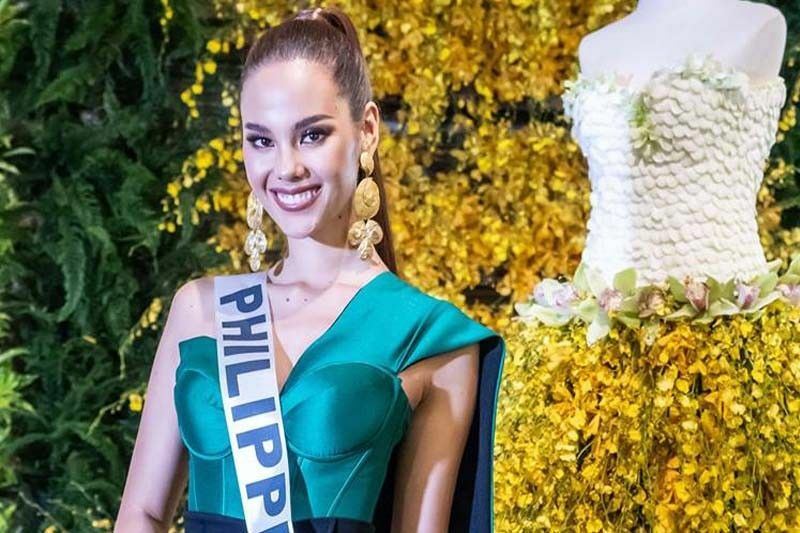 MANILA, Philippines — Philippine bet to Miss Universe 2018 Catriona Gray gave hints on her national costume attire for the prestigious pageant. In a Facebook live, the Bicolana beauty who is now in Bangkok, Thailand for the pageant said her costume is related to the Christmas season. “It's never been done before by a Filipino candidate. And usually, the only hint that I give is that it's buong Pilipinas or whole of Philippines but another hint that I'll give just for this Facebook live is that a part of it represents Christmas,” Gray said in a Facebook live. Gray added that her costume is heavy. The Miss Universe 2018 national costume competition will be held on December 10 in Pattaya, Thailand. Gray shared that Pattaya is a three-hour drive from Bangkok. “I’m really really excited because I’ve never been to Pattaya and it would be really great to explore another corner of Thailand,” Gray said. Gray is set to compete at the 2018 Miss Universe on December 17. It will be held at the Impact Arena in Bangkok.